Taking inspiration from the Land of the Free and their oh-so amazing barbeque style, Big Boy BBQ opens its doors on Bridge Road Richmond next Tuesday, serving Melbournians the best of the best of American BBQ fare. We've always wanted to have a taste of the American lifestyle, and it's becoming increasingly easy to get it. With Big Boy BBQ set to open up its 3rd location, 'Executive Pit Master' and owner, Lance Rosen, is doing his best to bring this deliciousness to the masses. With Big Boy BBQ restaurants in both Caulfield and Hardware Lane, Rosen set his eyes on Bridge Road to pay homage to his beginnings and his beloved football team, saying, "It feels as though I'm coming home." From his first bite in the States, Rosen fell in love with the Kansas City Style BBQ, noting, "It was like being slapped upside the head with a side of brisket." His style of cooking is all about preserving the traditional methods of American BBQ, which involve rubbing the meats with spices and smoking them at a low temperature for up to 16 hours – this job requires a lot of patience, but the result is so worth the wait. Claiming the motto 'slow food…fast', Big Boy BBQ is all about plating up the most tender and juicy American BBQ in Melbourne, at a pace that suits the Melbourne lifestyle. Think lunch break treat or a quick feed before the footy – forget your other fast food options, this is where it's at. Rosen says Melbournians have embraced American BBQ "with both hands, feet and body. We love out meat in Australia, we also love the casual dining aspect of BBQ. Really, what's not to love?" 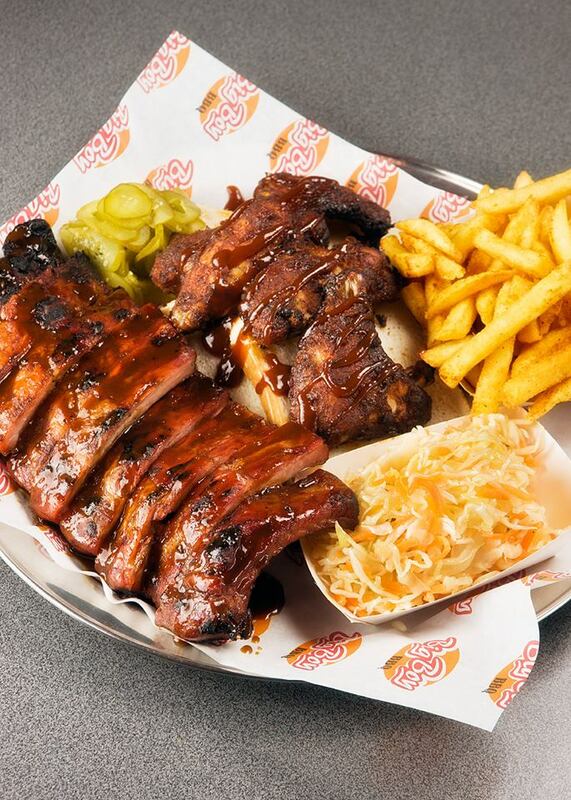 With a menu to make even the smallest BBQ enthusiast happy, we're talking ribs & wings with sides of onion strings, coleslaw and of course, pickles, it's no wonder we're becoming BBQ obsessed. Writing this is already taking me to a happy place. Rosen himself can't even choose a favourite item on the menu,; to him it's like choosing a favourite child. He did however let us in on a secret menu item – ask for the chili cheese fries (not on the menu), but if anyone asks, we didn't tell you. So arrive at Big Boy BBQ with an empty stomach, cos we promise it will be filled to the brim by the time you're done here. Vegetarians beware, American BBQ is taking over Melbourne.